Can sunglasses make you fair and young? 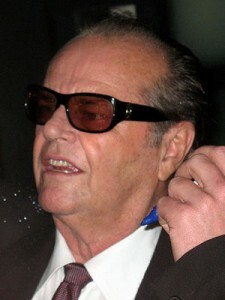 With my sunglasses on, I’m Jack Nicholson. Without them, I’m fat and 60. A recent study ( http://www.springerlink.com/content/k357341018812812/ ) demonstrated that UVA irradiation of the eyes increased the level of a-MSH and the expression MC1R receptor. Both are involved in pigment regulation and photoageing. The effect was more with eye irradiation than skin irradiation. Well… Sunglasses have benefits that are more than cosmetic. Now it's your turn! Please rate this post below!